Good morning, Divine fountains of Light! 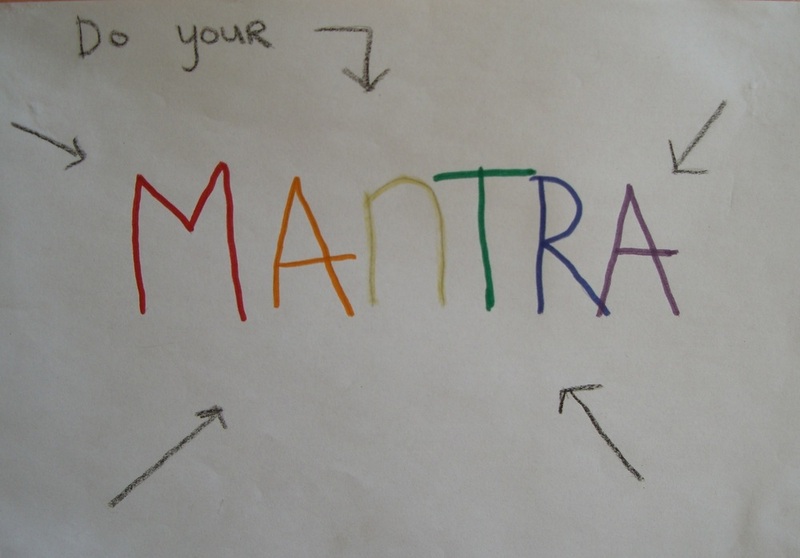 Last week we left our discussion of mantra with intentions to talk about repeating your mantra and other mantras, and some tips for your practice. I will start on this but welcome any questions about anything. Are there any right now? There are lots of reasons to repeat your mantra. We have gone through a number of these already... quiet the mind, settle the emotions, draw you into the present moment, come to more subtle states of consciousness, charge up with positive energy, open up to insights and solutions and guidance. And there are lots of ways to repeat your mantra. You can sit at the altar and repeat the mantra counting with mala beads. You can repeat it as you lie in bed going to sleep, and then right when you wake up. You can repeat it while you are in the bathroom. You can repeat it while you are preparing breakfast. You can repeat while you take the dog on a walk, or while you simply are walking anywhere. You can repeat it while jogging or at the health club doing your exercises. You can repeat it while doing your yoga practice. You can repeat it while making love. You can repeat it while chewing your food. You can repeat it while on hold or waiting for something to download. Get the idea? You can also repeat it by writing it down. This is a special practice known as Likhita Japa, written repetition. It is a wonderfully engaging and effective manner to repeat your mantra. Your eyes, hands, mental attention and body posture are all engaged in the mantra. If you have never done this, try it. Get a notebook and write your mantra out for a page (or more, if you'd like and have the time set aside for that). Hopefully, you will make a commitment to fill a page or more daily. If you do, get ready for mining some of the deep benefits of your mantra. Some like to write it in Sanskrit script. Of course, that makes sense if you are proficient in Sanskrit. And, if not, it is a lovely exercise to simply have someone show you how to write the mantra in Sanskrit, learn how to write it (draw it - it will be lovely), and then fill a page by writing it again and again on the page as you mentally repeat it. Yes, it is important to mentally repeat it, too. And it is ok to do it aloud or while moving the lips. Engage in it as fully as possible. It is truly a wonderful practice that will reveal its benefits to you quickly. Consider this... repeating your mantra does these two things, at least: it resonates all the aspects of your being (physical, mental, energetic, etc.) & it creates a mental groove that becomes deeper and clearer as you continue your repetition day after day. The groove taking form is very important and helpful, which is one of the reasons you want to remember to repeat your mantra everyday, and in a lot of settings and circumstances. Our mind-stuff takes on patterns. If you continue to repeat this sacred sound formula, the mind stuff will begin to have a groove take shape, and that will make it easier for you to settle into your mantra and have fewer and fewer disruptions to your steadiness. The groove will make it much easy to repeat your mantra and then come into a true meditative state. The groove takes shape over time with steady repetition, getting deeper and deeper, clearer and clearer, as you continue to repeat your mantra. Once you have a deep mental groove with your mantra flowing almost constantly (and that is what will happen for you), you will begin to remain in a meditative state more and more. This doesn't mean that you will be trance like. No, just the opposite actually. You will be at ease, more alert, more aware and have a clearer perspective on things, along with an intuitive sense of understanding. Faith will increase. You will be able to trust the present moment enough to live in it, and then the present will expand to include past and future, too. [I know this might sound a little tricky at first, but just make note so that when you are in that place of awareness you can say "Aha, I see," so that you can simply relax and hang out like that.] So, repeat you mantra everyday - a lot. This is not work, but delightful fun. It is one of the easiest of all spiritual practices. As I have mentioned before, though you want to choose a mantra and repeat your chosen mantra everyday - a lot, you can still use other mantras, too. Just don't stop repeating your chosen mantra, even when you are giving attention and time to another mantra. It is fine, healthy, useful, informative, fun to explore and use lots of different mantras. Please do. They are so much fun, have some useful effects and benefits, and will help you to blossom into fullness. Mantras will come into your life and you will be drawn to explore or use different mantras at different times. That is wonderful. Accept that. Go with the flow. Give it your time and loving attention. But continue to repeat your chosen mantra everyday, too. Play around with the pitch and tempo. Try chanting it higher or lower pitched, and changing pitches as you are going through a mala (108 repetitions). You may also find that as you raise the pitch you might like increasing the speed of the repetition, and then slow it down as you lower the pitch. No rules here, just play. See how it works for you, how you like it, what you like. Note that you will be in a different space on different days or different times of the same day. Be open to chanting your mantra in different ways that are fitting for you at the moment. Again, though you do want to do this with commitment and conviction, remember that it is all play. Have fun with it. Also, do it very loudly, and very softly, and gradually shifting from one to the other making note how each impacts your state of consciousness. Try contemplating on each element of the mantra's sound as you very distinctly and rather slowly repeat it, maybe even just a single repetition. As you cook, repeat your mantra, consciously willing the energy to saturate and bless the food that is being prepared. Then serve it and eat it with that awareness. This will actually keep you with the flow of the mantra as your food is being digested and nurturing your body for the next several hours. Know that mantra vibrations can serve to support healing. Willfully direct the mantra energy with that intent when you feel it practical and needed. As you repeat your mantra you will find that it creates an armor that protects you physically, mentally and energetically. Repeating your mantra with this intention is a common practice with very powerful results.